Young Gifted and Black: Justice League NYC begins March from Staten Island to D.C.
Justice League NYC begins March from Staten Island to D.C. Awesome brothers and sisters in the struggle taking it to the streets and demanding justice for all the lives that are being taken by Police Violence. . I so wish I was there in the flesh, but trust that I am there in the spirit. Be Empowered. 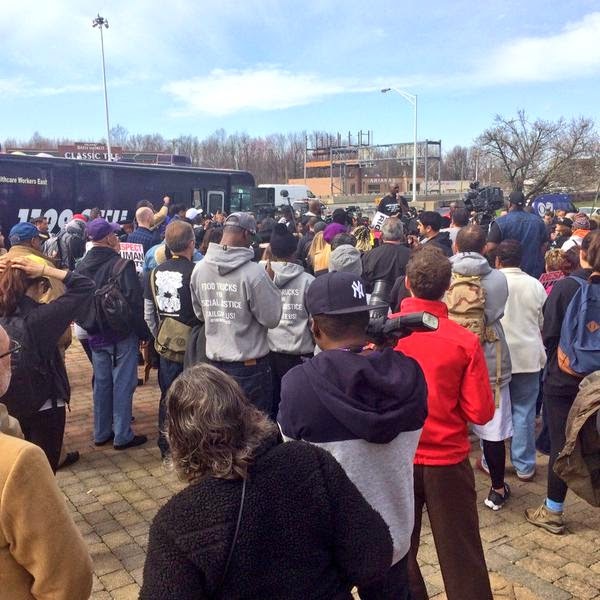 A group of activists calling for criminal justice reform began a 250-mile trek on foot from Staten Island to Washington, D.C., on Monday. Justice League NYC’s March2Justice is scheduled to culminate April 21 with a rally and concert at the National Mall. The goal is to deliver to lawmakers a package of proposed legislation aimed at ending racial injustice and police-related deaths like Eric Garner’s, CBS2’s Diane Macedo reported. The interstate demonstration comes on the heels of new dash cam video in the Scott case that appears to show Officer Michael Slager laughing as he spoke with another officer after shooting and killing Scott. Slager has been charged with murder in the case.